After visiting multiple micro-hydro electricity generating sites we started backtracking down the dirt roads towards one last destination. This was the day before we left Afghanistan. 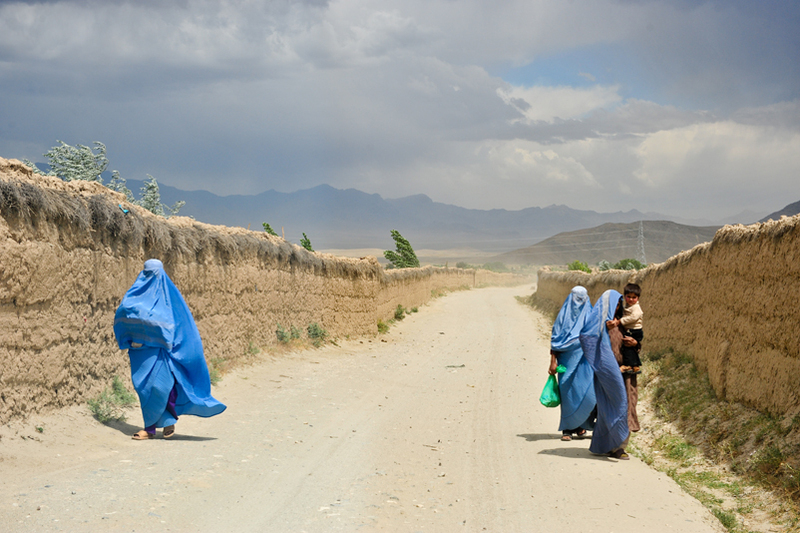 I was frustrated because I had not captured a good photograph of Afghan women dressed in burquas. Since it is culturally taboo for me (a man) to photograph a woman, I was always on alert for the chance to get a photograph without too much “disruption”. We are going about 30mph down the road and I see my opportunity. I asked the driver to slow down and started to shoot through the windshield of the vehicle. This was the shot that I captured. You can see the woman on the right was walking without her burqua over her, but as soon as she saw me photographing she began to pull it down over her face. I love the colors in this photograph. I have had the privilege of meeting some amazingly beautiful people (inside and out) around the world. Taking their portrait lets me remember a little bit about them after I am home. Sometimes looking into these eyes, seeing joy on faces, sensing hurt in the weathered wrinkles gives you a clue into the life that they have lived. 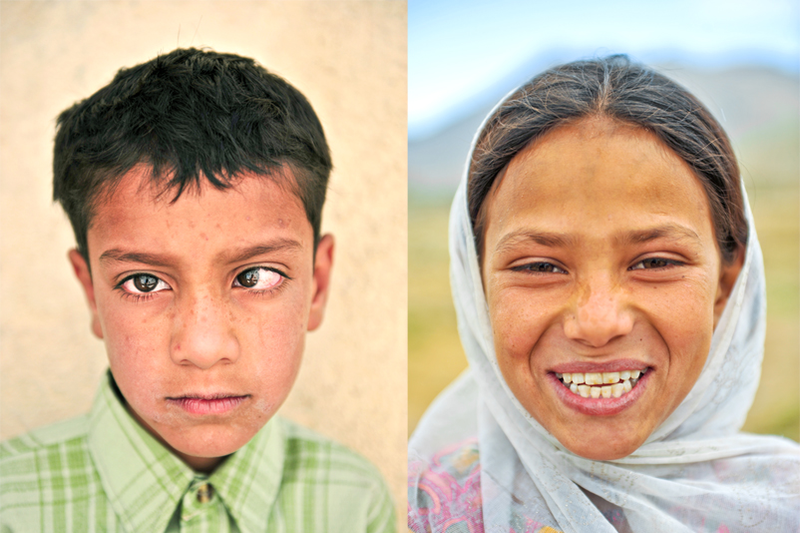 Here are two faces from Afghanistan. The young boy was in line to have his eyes examined. He talk about how he was having trouble with his school work because of his vision. When I look at this picture I smile, because I know that he received quality eye care, and probably is now complaining because he doesn’t want to do his school work. This girl lived in a small village north of Kabul that is able to pump clean water because of a wind power project in her village. When I approached her to take her picture she was really wary of me and my camera. But with a few “camera tricks” that bright, infectious smile filled her face. I have smiled a number of times just looking at this photo. I think you will too. Look around you today. Remember that the faces you see around you represent a story. 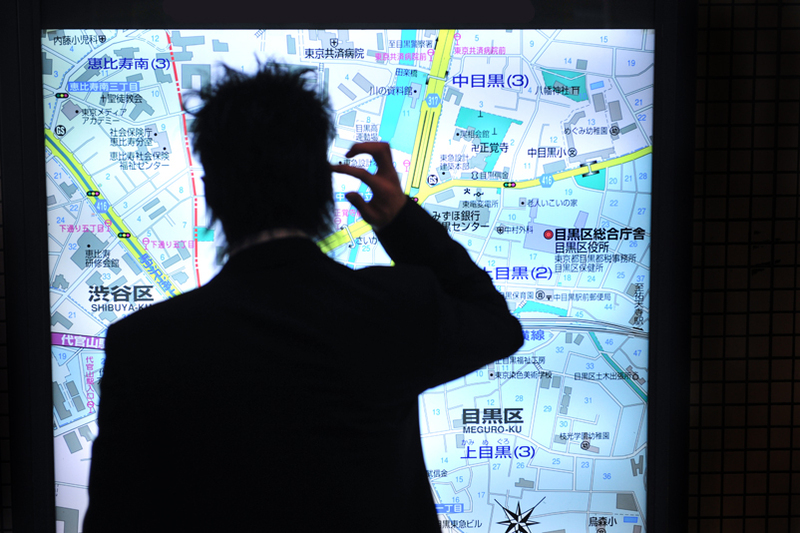 Over 3 million people pass through the Shinjuku station in Tokyo every day, making it the busiest in the world in terms of passengers. All of those people, plus a really complex train station map really turned up the stress level. On a couple of the trains I felt that all of those 3 million were on the same train. It would be so packed that I could let go of my bag and it would stay suspended in between me and the person squeezed right up next to me. So, needless to say, I felt like this guy more than once. When I saw this moment taking place, I had to photograph it…even if it was just for my own humor. I am proud to say that I did tackle the Tokyo train system by myself a couple of times. Merauke, Papua, Indonesia. It is way over on the other side of the world. It is estimated that Indonesia is made up of over 17,000 islands, and getting from Jakarta (the capital) to Merauke is a 10 hour flight, stopping on three of the bigger islands. I was there to photograph a story about a community center that is starting in Merauke. They will be providing youth programs, musical instrument lessons, English classes, health and AIDS awareness classes, and many other activities. You can download the entire story here, or view the magazine online here. These children of transmigrant workers use the beach as their playground, while their parents are trying to provide a steady income for their families. There is a lot of tension between the transmigrant Indonesians who have been moved here to remedy overpopulation of other islands, and the West Papuan Indonesians who feel that their land is being taken over. The local community center is hoping to build a bridge between the two groups in the city of Merauke. I was sitting in the corner of a small trailer outside of a hospital in Kabul watching these young school boys come in for their eye exams one by one. One doctor was telling about how these boys had been selected because they stated they had trouble with their vision, while the other doctor listened intently to the description of the little boys problems. I love how both of the subjects in this photo are using a similar hand gesture (same hand even) while they are talking. Today, the flagship eye care program called National Organization for Ophthalmic Rehabilitation (NOOR) provides more than 70% of the eye care for the country and people of Afghanistan. The reach of these services stretch from Mazar-e-Sharif in the north to Kandahar in the south; from Herat in the west to Jalalabad in the east, and multiple sites in Kabul and the surrounding area. With six expatriate staff, and over 100 national workers, the NOOR program was responsible for seeing over 300,000 patients in 2008. They also provided more than 25,000 pairs of eyeglasses, 15,000 sight saving surgeries, around 400,000 bottles of eye drops, and most of the training for the countries residency program, ophthalmic technicians training and the training of community health workers. Noor means “light” in Persian, and this program is definitely providing light to those who live in the darkness of preventable blindness. You can download the full story (and see more photographs) here!